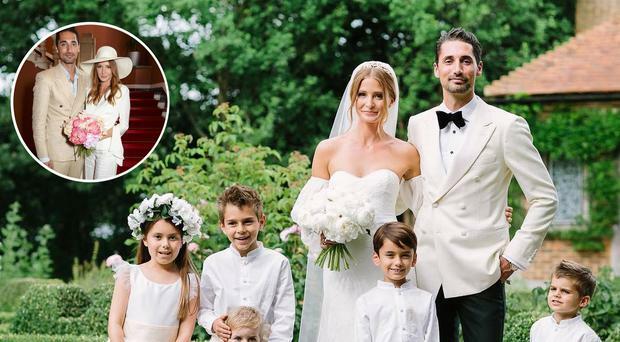 Following in the chic steps of fellow brides Emily Ratajkowski and of course Bianca Jagger before her, newlywed Millie Mackintosh has revealed that she donned a super chic two piece suit and wide brimmed hat for her 'official' wedding ceremony to husband Hugo Taylor. 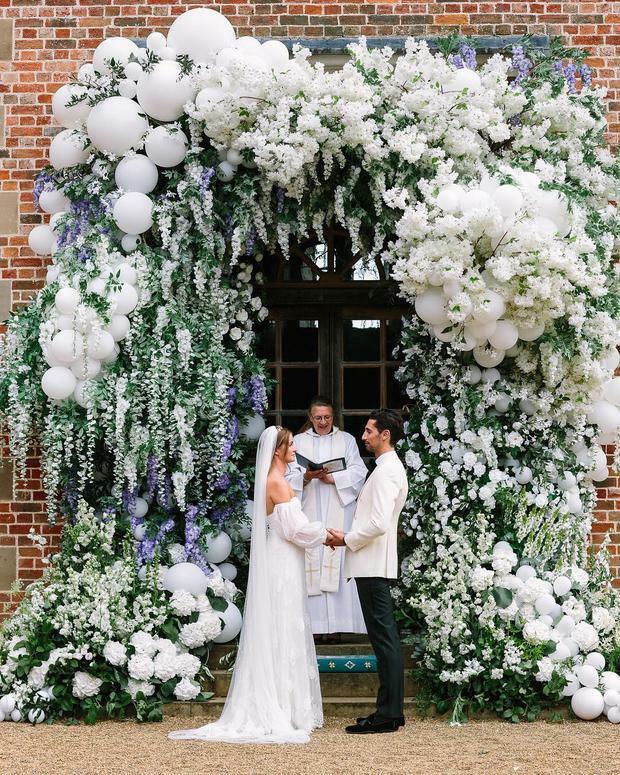 The former Made in Chelsea star 'made it official' with now-husband Hugo at the Chelsea Old Town Hall before their lavish wedding which took place in July. 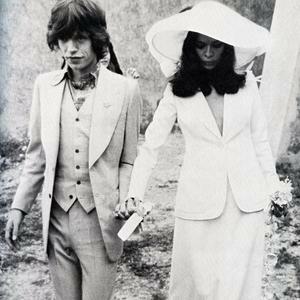 For their legal wedding, Millie opted for a chic cream wraparound top with 70s style bell sleeves, a pair of elegant cream linen trousers and a matching wide brimmed sun hat. The bride carried a bouquet of pale pink and peach peonies and wore her hair in soft waves. Groom Hugo looked equally stylish in a beige linen suit, which he kept all the more casual with an open-collared pastel blue shirt. The fashionista's sophisticated sartorial choice echoes that of fellow model and newlywed Emily Ratajkowski, who surprised fans when she tied the knot with boyfriend Sebastian Bear-McClard in February this year wearing €125 mustard suit from Zara. It was an altogether more formal affair for the couple's big day in July however, where Millie stunned in a strapless lace Kate Halfpenny gown which featured detachable, billowing sleeves. Millie Mackintosh appears on the cover of the new issue of Women's Health. Karen Birney 2018 was the year of the stylish Irish bride, with a host of chic sartorial nuptials to swoon over.